It can be difficult to get up off the couch. Life is filled with daily events that require all kinds of energy, and these stresses can leave you exhausted at the end of the day. Work isn’t easy. And if you’re over 50, the stress and demands of the job can be even more taxing than they were in the past. If you have children, grandchildren, a sick spouse, or a loved one to care for, there are even more demands that can drain your energy. For many, the sofa is an inviting place for relaxation and comfort, but it can also be a black hole for your health. Fitness is always important, but this is especially true as you age. It’s quite possible that getting off the couch is one of the most important things you can do for your health. Even moderate exercise is shown to greatly reduce the risk of death for people with high blood pressure. 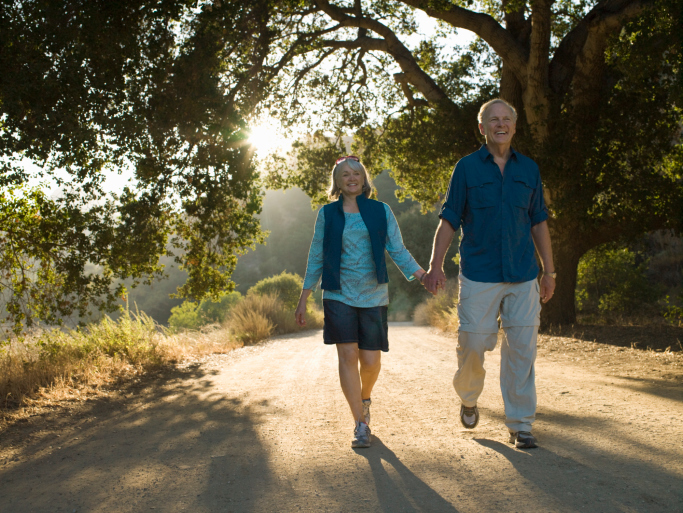 A brisk walk lasting 20–40 minutes a day, five times a week can substantially benefit your health. This is just another notch on the belt for exercise in terms of health benefits, and unless you have a physical disability preventing you from movement, there’s really no excuse to avoid it. When you think about all the health benefits, taking an additional 20–40 minutes at some point throughout the day—before you drown in the sofa—isn’t a major inconvenience. A recent study showed that elderly men, aged 70 or more, with high blood pressure experienced a reduced risk of death following an increase in moderate exercise. By adopting an exercise routine, low-fit men experienced a 19% lesser chance of death, while moderately fit men had a 36% lower chance of death. Most impressively, highly fit men saw their risk of death drop by 48% by adopting some additional moderate exercise. If you have high blood pressure, there is substantial evidence to show exercise is one of the best ways to improve your condition and lower your risk of death. Combining exercise with a healthy diet is the best way to achieve success, because what you eat has a direct impact on your body’s ability to perform and respond to exercise, even if it’s only light exercise like walking. If you want to reduce the impact of high blood pressure and extend your life, you must take the initiative and get off the sofa. The proof is there: more movement means more life! Faselis, C., et al., “Exercise Capacity and All-Cause Mortality in Male Veterans With Hypertension Aged ≥ 70 Years,” Hypertension 2014; doi: 10.1161/HYPERTENSIONAHA.114.03510.